Cindy And Tak Go Rave'in!. CIndy wants Tak to be her bestest friendzy. 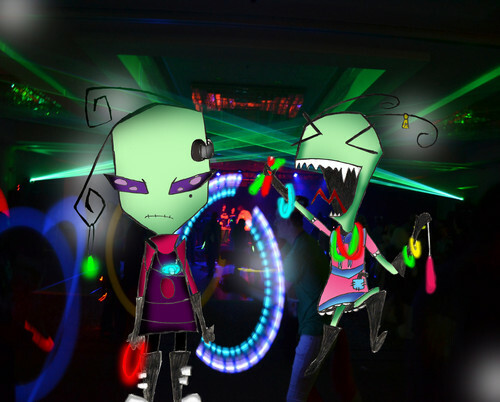 HD Wallpaper and background images in the Invader Zim FanCharacters club tagged: invader zim invader zim fan characters foxyfoxy90 cindy tak rave.